"Our mission is to provide a safe and reliable portable emergency oxygen system that can be placed in any location, wherever an emergency may arise." 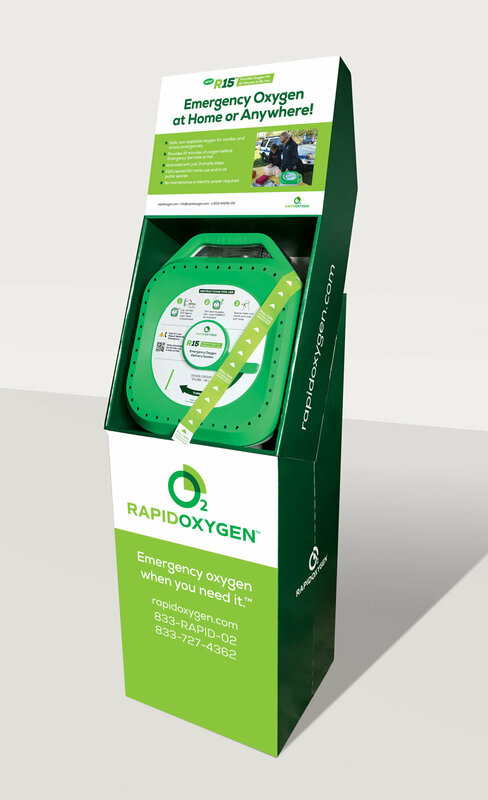 Rapid Oxygen is a private company based in Connecticut that has a patented emergency oxygen delivery system called the R15. Our founder, Richard Imbruce, has a PhD in Pulmonary Physiology and is a strong advocate of emergency safety protocol. Working in conjunction with the University of Michigan and a team of scientists and engineers, Richard created a way to produce the emergency oxygen without any explosion hazard. The company has two patents relating to its unique delivery system and oxygen production. The R15 is a revolutionary product that can be safely stored and will deliver emergency oxygen without any danger of high pressure oxygen found in cylinders. The only other sources of oxygen are oxygen concentrators and liquid oxygen, both requiring electric or battery power. Since the R15 doesn’t require a power source and can be safely stored for an extended period of time, it can be now be used in places where oxygen cylinders are prohibited. For example, the R15 can be in schools, offices, golf clubs, fitness clubs, churches and synagogues. The R15 meets or exceeds FDA guidelines for portable chemical oxygen generators, through Rapid Oxygen’s recently patented delivery system. The R15 produces 100% humidified oxygen at flows greater than 6 liters/minute for more than 15 minutes with acceptable safe temperatures on all of its’ surfaces. We expect the R15 will be used in conjunction with the more than 9 million AED’s installed throughout the world in public spaces like shopping malls, airports, golf clubs, and sports venues to name a few – public places where oxygen is not immediately available. We also hope that consumers will utilize the R15 for home safety in case of a fire or airway emergency, as well as in apartments buildings and office buildings - we seek to make the R15 as ubiquitous, readily available and accessible as a fire extinguisher.